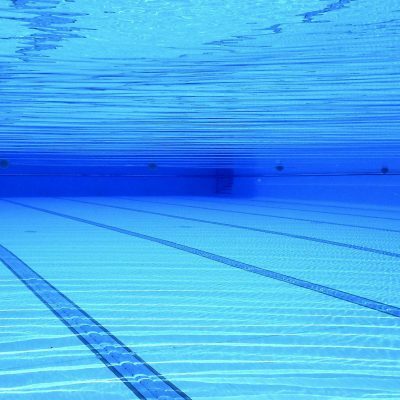 Swimming pools consume disproportionately large amounts of energy compared to dry buildings. Despite the large contribution they make towards the operating costs in local authority property portfolios, they are generally little understood. Water evaporation requires the supply of latent heat of vaporisation. The energy contained in the water vapour is lost from the building through ventilation. This form of energy loss far exceeds dry building losses through ventilation and conduction. A holistic formula for evaporation has been incorporated into a model of a pool hall to analyse the annual energy costs and to identify the means to reduce them. The model has been used to improve understanding of key performance variables, and to evaluate an investment in various measures to improve energy efficiency. The simulation also helps with training pool operators and in design. Hancock, M. D. ‘Indoor Swimming Pools and Leisure Centers: A Model to Improve Operational Effectiveness and Reduce Environmental Impact’, CIBSE Technical Symposium, Leicester, UK 6-7 September 2011.